Here you can see the different ways of commissioning a portrait. Whatever you’re looking for, whether it’s more serious or more fun, we’ve got an option available to suit your personality, taste and budget. Our sculptures are of a manageable size so that there is a wide range of possibilities for displaying them wherever you like. We can also show you some pieces we’ve already made of different sizes and with different finishes and prices to help you make the best decision. The faithful portrait is the most formal and original option for that special gift for a loved one. With our touch of design, it can occupy a special place in your bedroom or living room. And it’s not as expensive as you might think. 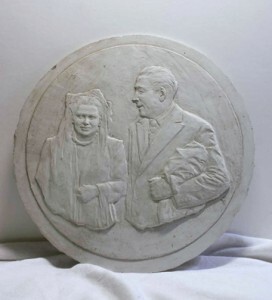 The second option is a Relief Portrait in resin or bronze, which we’ve created in order to be made from that special photo you’ve been saving. (approx. 12 cm) All you need is a photo of the person. The Caricaesculpture is the company’s signature product. It’s the most original way to give a gift of good humour, elegance and design. 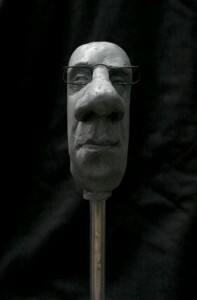 Caricasculpture is our best product. It is the most original way to give good mud as a present with elegance / smartness and a touch of design. The image on the right belongs to the first one. 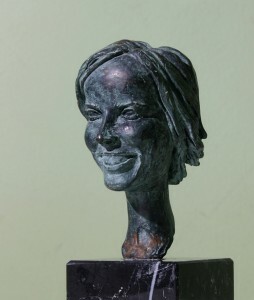 It’s a caricature of a head in three dimensions in resin with a metal pedestal or perspex base with a lot of attention paid to bringing out the facial features. It measures between 18 and 20 cm, including the base. A prior photo session is required. The second kind of Caricasculpture is made in ceramic and is a more general representation of the entire body where facial features are handled with less detail. It measures around 12 cm.All you need is a photo of the person. 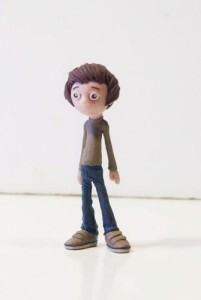 The Fimo polymer clay Caricasculpture is a more childlike representation in color of the person. Approx. 6 or 7 cm. All you need is a photo of the person. It can be either an adult or a child.